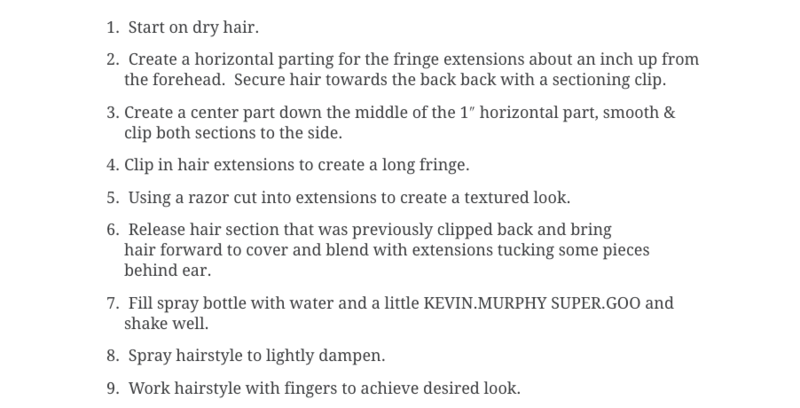 This post was originally featured on The Art of Hairstyling. Trend alert! Vintage, 90’s, and bohemian beauty are back with a vengeance. The hairstyle options seem to have exploded overnight, and by now we’ve all had a few Pinterest-fail hair experiments. 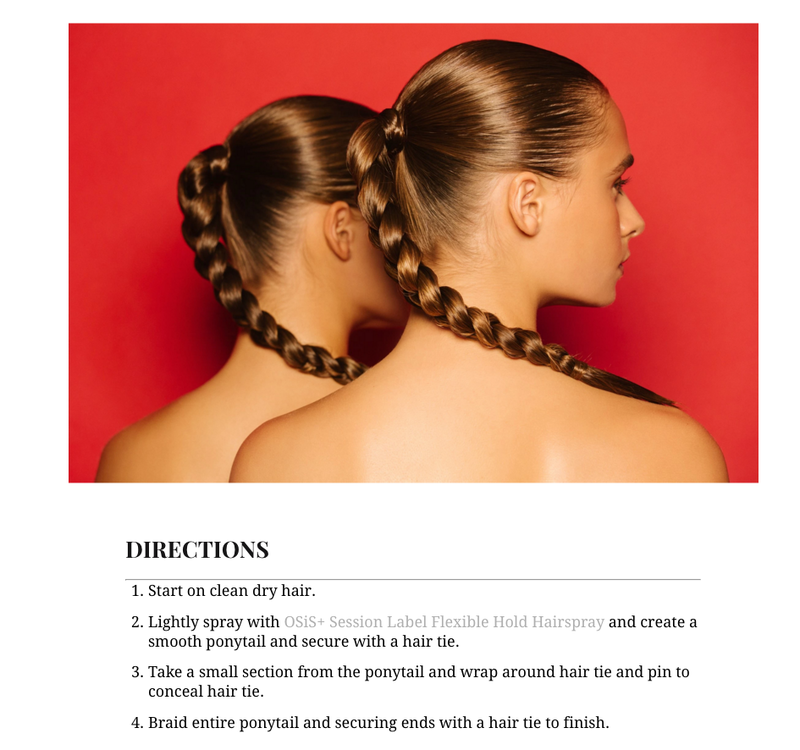 That’s why our eyes have been glued to The Art of Hairstyling.com, a seriously cool online mag with everything from envy-inducing editorials to simple how-to’s detailing how to create that Instagram hairstyle you can’t get enough of. Within its pages, renowned hair guru Ashley Lynn Hall creates runway masterpieces and effortless updos that you can actually do yourself (we promise!). 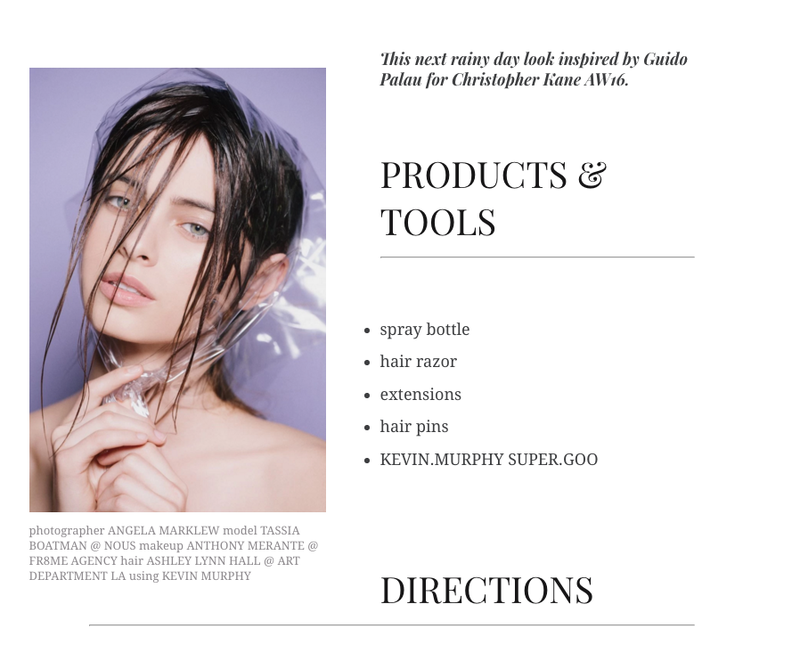 We were thrilled when Tassia was chosen to be featured in this throwback beauty how-to, captured beautifully by Nous favorite Angela Marklew with flawless makeup and finishing touches by Anthony Merante. 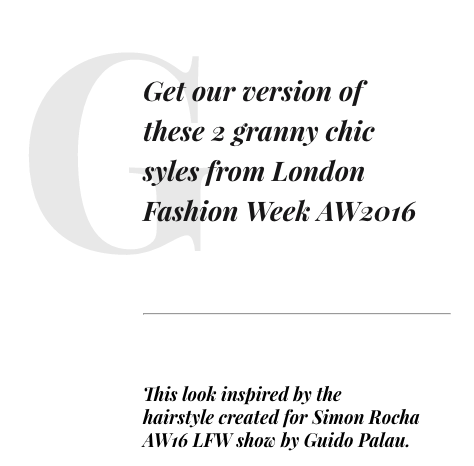 Read on to see how to get the look yourself…and trust us when we say this isn’t your granny’s hairdo anymore. Check out Tassia’s portfolio and follow her on Instagram. This article was originally featured on WhoWhatWear.com. When you think of spring, pinks, pastels, and the like probably come to mind. But if your style isn’t overly feminine, what’s a girl to do? The key is to keep your outfit clean and simple, adding hints of color in the form of an unexpected power accessory: your lips. With sunny weather in full swing, there’s no better time than now to play up your pout with COVERGIRL’s Oh Sugar! collection. From layering your shades to creating a just-bitten look, this is how you make your lips the hero of your outfit. Scroll down for three stylish ways to make your pout stand out. 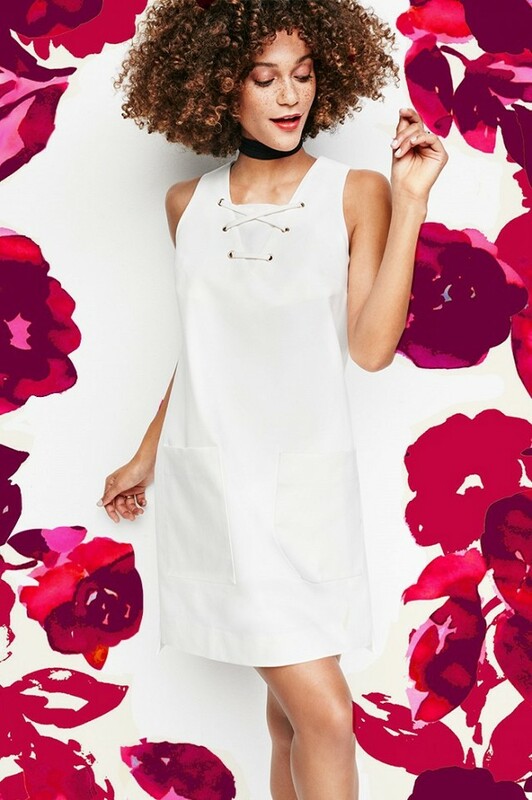 If you want your lips to be the focal point of your look, opt for a simple silhouette in white, like this dress from the Who What Wear collection exclusively sold at Target. When wearing neutrals, it’s easy to pile on the jewelry. But in this case, layering necklaces and earrings could distract from your lips. Instead, add a skinny scarf that’ll help keep the attention on your pout. Using COVERGIRL Oh Sugar! 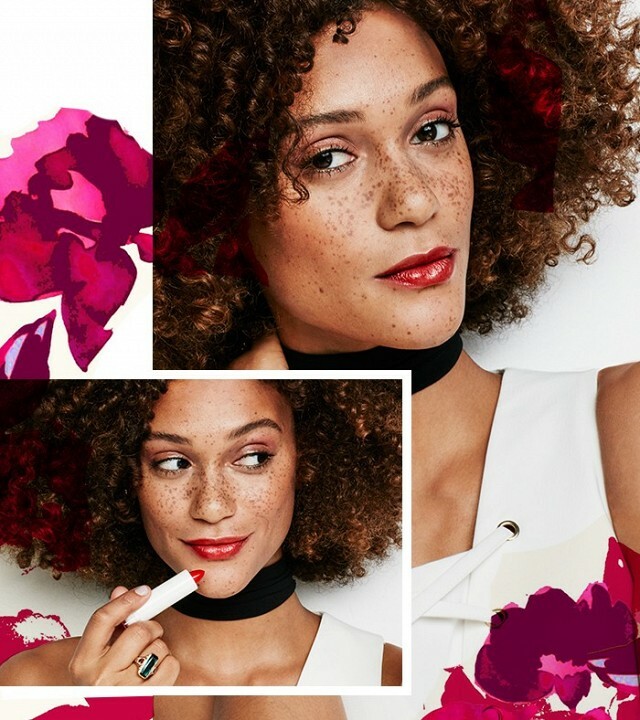 Lipstick in Punch, apply to lips straight from the tube; add multiple layers to give your pout a just-bitten stained effect. The rest of your makeup should be light and natural; after adding a hint of color to your lids, finish your look with multiple coats of COVERGIRL LashBlast Full Lash Bloom Mascara to emphasize your lashes and make them stand out. What other tips do you have for making your spring outfits pop? Please share in the comments below! This feature was originally posted on whowhatwear.com. What’s on every fashion girl’s mind? Spring’s arrival and the need to refresh–and ace–spring style. Take florals, for example: the classic print is taking center stage this season, and it’s begging to be modernized. So what’s the trick to making something timeless look more on trend? The solution isn’t in your closet, it’s actually in your makeup bag. With the help of COVERGIRL‘s truNaked Shadow Palette and Waterproof Eyeliner Duo, you can tackle any wardobe dilemna. 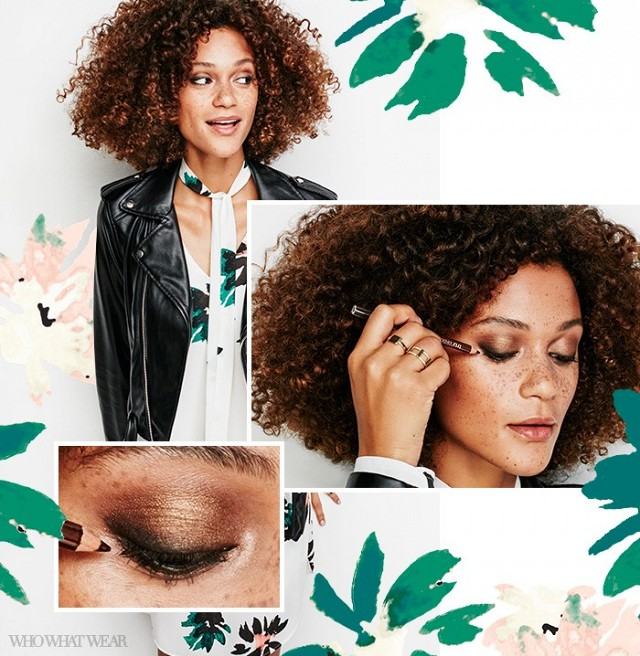 From adding a smoky bronze eye to winging it, this is how to add some drama to your look and take your spring florals to the next level. Scroll down for tips on making your floral prints edgy, along with some serious outfit inspiration. Looking to tone down the floral print? 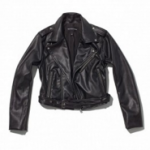 Top off your look with an edgy leather moto jacket, like this one from the Who What Wear collection exclusively sold at Target. Skinny scarves are having a major moment right now, so take advantage, because they’re one of the easiest ways to make your look instantly cool, just like a smoky eye. To get the perfect smoky eye, using COVERGIRL’s truNaked Shadow Palette in 810, apply Ginger over the entire lid, add Sunkissed to the inner corner of the eye, and blend the eye shadow in. When you’re unsure of how to style your florals, just wing it. A defined cat eye adds drama and edge to any outfit. 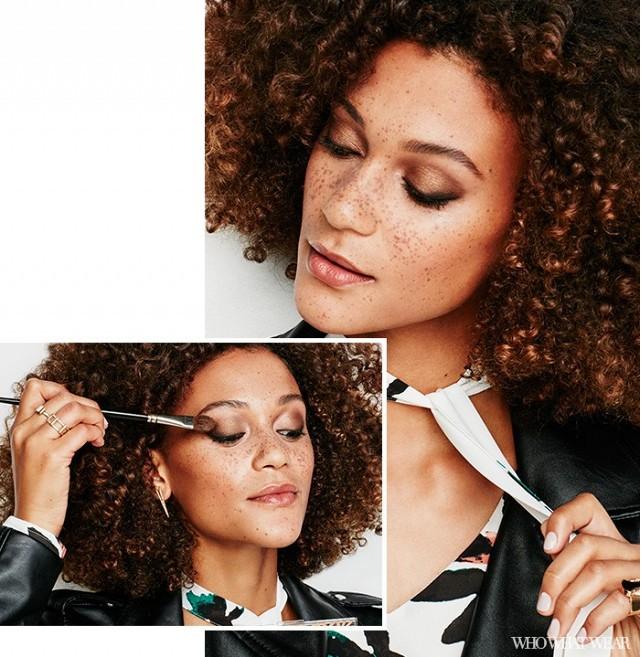 To complete the look, grab the truNaked Waterproof Eyeliner Duo in Ebony to draw a clean cat eye, adding a more defined winged tip with Sierra from the shadow palette. How do you make your spring florals feel more edgy? Please share in the comments below! 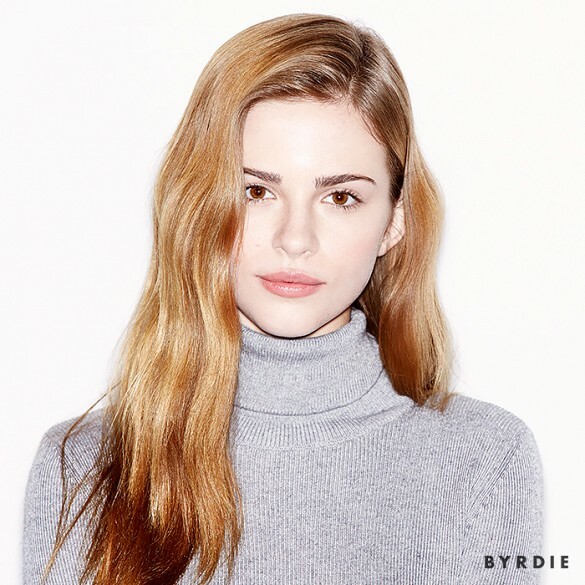 This article is reposted from Byrdie.com. “If you want a fuller pout, but happen to think that lip-plumping products have more of a placebo effect than anything else, don’t give up hope. 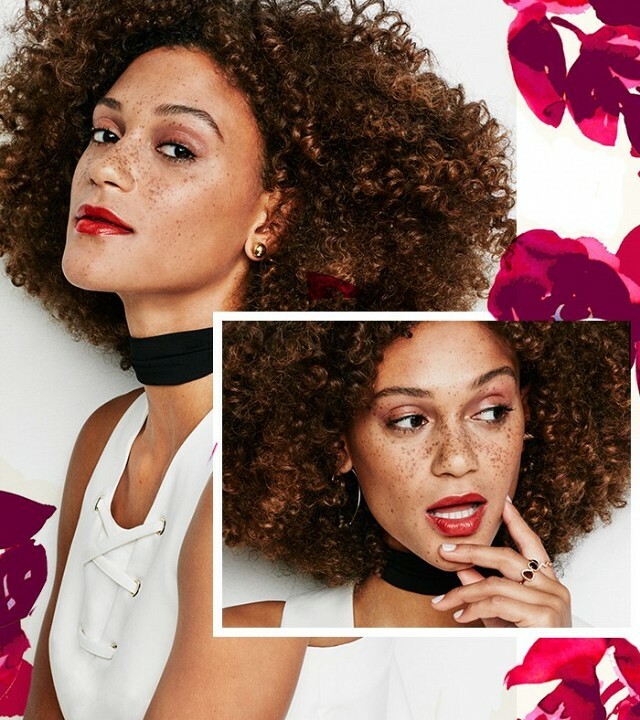 Celebrity makeup artist Lauren Andersen showed us exactly how to enhance our natural lips with the strategic placement of a few key products. Grab your concealer, lip liner, lipstick, and gloss, and scroll through to see how it’s done! Apply concealer to the center of your lips to brighten the area, which will make them look fuller. Go all the way to the edge of your lip line, and blend the top edges up onto your skin. Using the lip liner of your choice, line your top and bottom lips. The key is to apply it right on top of your natural lip line, exaggerating it ever so slightly. Be sure to use a freshly sharpened pencil; the point will be helpful for placing the color directly on top of your natural lip line. Feather the color in a bit at the outer corners. Don’t extend the color all the way along the bottom lip. Leave the center bare. This makes the bottom lip look heavy and pouty. Next, blend it all together with lipstick applied with a lip brush. 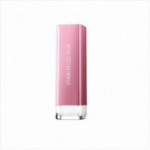 like this Lip Glacé ($25) in Bare Naked from Laura Mercier, to just the center of your top and bottom lips. Article written by Devon Hopp for Byrdie.com. and push the color into your lower lash line as well. and swirl the color in small circles into the outer corner. Create a little more depth by blending it up into the crease. Resist the urge to take this step into your typical night-out application. Andersen says it’s always better to start with less, and build up as needed. With eyeliner, Andersen says you want to define the eyes, but not see the liner. Start at outer corner and use short strokes right at the base of the lash line. As you work in toward the inner corner, make your strokes even lighter. Then, grab the flat brush you used earlier and smudge it in. We defined both upper and lower lash lines, but that choice is all yours. Just skip the waterline for daytime. 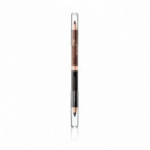 We used Urban Decay’s 24/7 Glide-On Eye Pencil in Roach, a cappuccino color. And when in doubt, blend. A daytime smoky eye should be blended out to a soft, hazy finish. When you can’t blend anymore, you’re done! 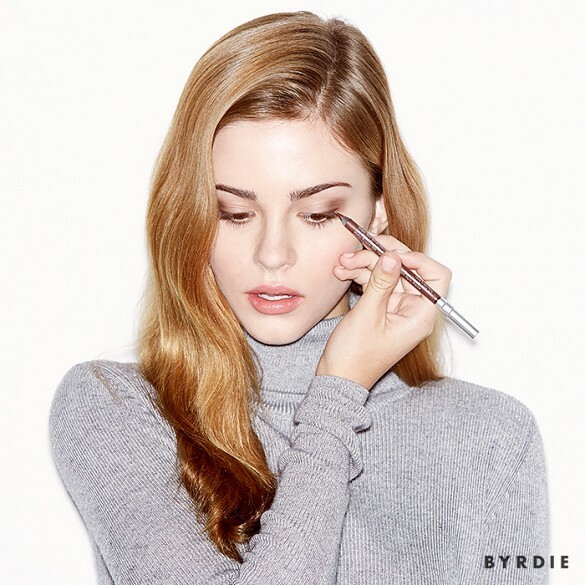 See more beauty tutorials on Byrdie.com. This article reposted from Byrdie.com. Most people’s thoughts on lip liner fall into one of two camps: Duh—I’ve totally got this or No way—I would have no idea what I’m doing. Either way, we’re guessing you’re not using this technique. Shown to us by celebrity makeup artist Lauren Andersen, this method is simple and effective. 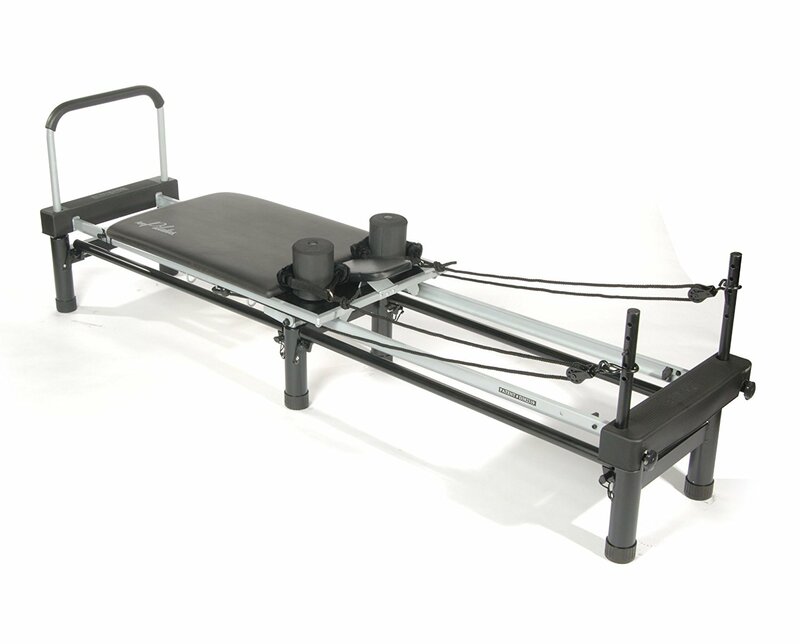 You’ll get a perfectly even shape every time, and it only takes four steps. Step 1: Place your pencil at the highest point of your Cupid’s bow. Draw a diagonal line extending down from that point, following your lip line. Do the same thing on the other side to create an X in the center of your top lip. Step 2: Starting from the top of your X, draw a line down toward the inner corner of your mouth. Andersen says to sketch the line so you can adjust as you go—don’t attempt to do it in one swoop. Then, do the same thing on your bottom lip. Start from the inner corner, and sketch the line out just to the center of your lip. Step 3: Repeat step two on the other side. right on top of your natural lip line (a sharp pencil helps with this). to blend the liner and lipstick together. 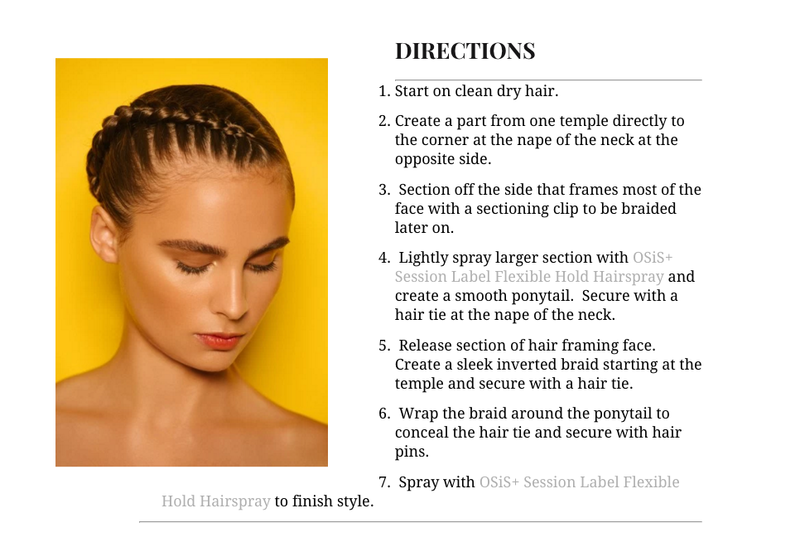 This tutorial reposted from Byrdie.com. We’re never ones to turn down an opportunity for a smoky eye, but we have to admit that sometimes what looks amazing on a set of big, doe-like eyes doesn’t translate for the girls who have less eyelid to work with. Enter: the reverse smoky eye. Take the smoked out shadow that accentuates big eyes and flip it upside-down. Okay, there’s a little more to it than that, but that’s what celeb makeup artist Lauren Andersen is for. Below, she shares her insider secrets on creating a flawless “reverse” smoky eye, perfect for those with small eyes, hooded eyelids, and monolids. Keep reading to see the four-step tutorial! this reverse smoky eye will definitely be the focus of your look. add a little shine with a pale shimmery shadow. Pack it on to your lid using a flat brush. and apply it all along your lower lash line and waterline. so you have better control of where the color goes. With a small flat brush, use sideways strokes to buff the color in. 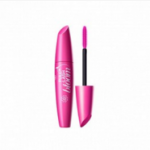 Soften the edges and extend the pigment ever so slightly past the outer corners and inner corners of your eyes. Now really smoke it out with a shimmery cool-toned brown eye shadow. We’re using a shade from Dior’s 5-Color Designer Eyeshadow ($60) in Amber. With a small brush, apply the shadow over the black pencil, focusing on the edges. 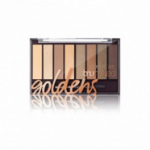 This will soften the look and help you achieve the ever-important color gradation every smoky eye needs. No smoky eye is complete without a generous dose of black mascara. We used Dior’s Diorshow Mascara ($25) to finish off this edgy look. Find more makeup tutorials at Byrdie.com. Take a look at Lyzy Adler’s portfolio and follow her on Instagram.